2017. 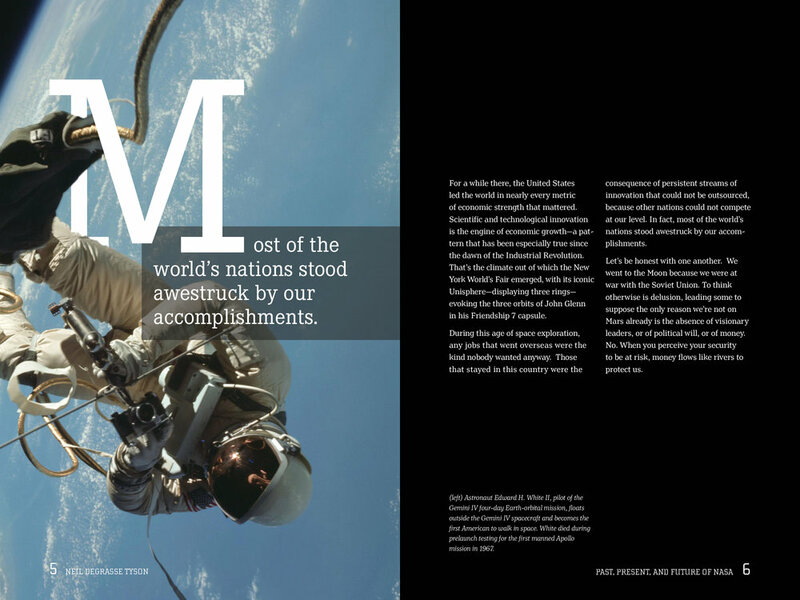 Image edited and composed in Photoshop, and book spread composed in InDesign. The project was to create two books for two different historical speeches that related to one another. 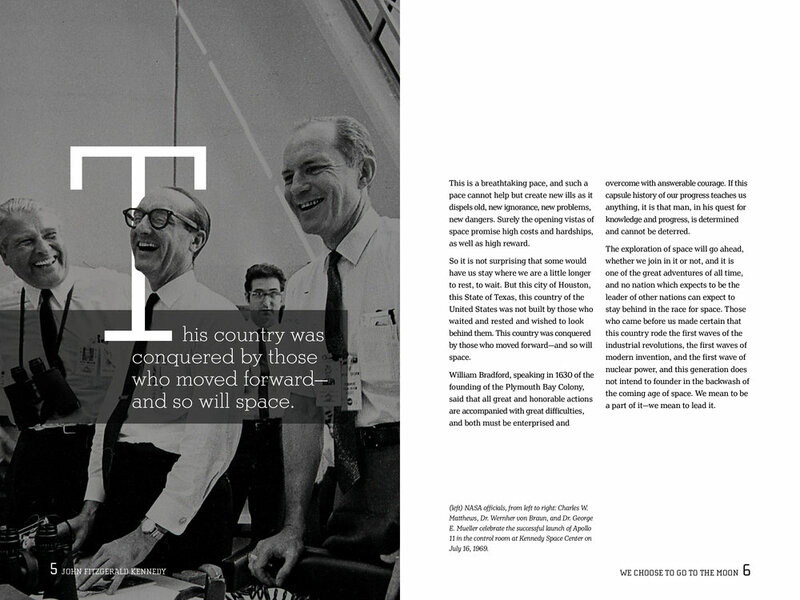 Restrictions included a minimum of seven spreads, four typefaces, and an element of "experimental" type. I used the interaction of letterforms and edited images to fulfill the last requirement. I chose JFK's speech "We Choose to go to the Moon" to explore the topic of space exploration, especially on the propagandistic approach to the "space race" that Kennedy took. 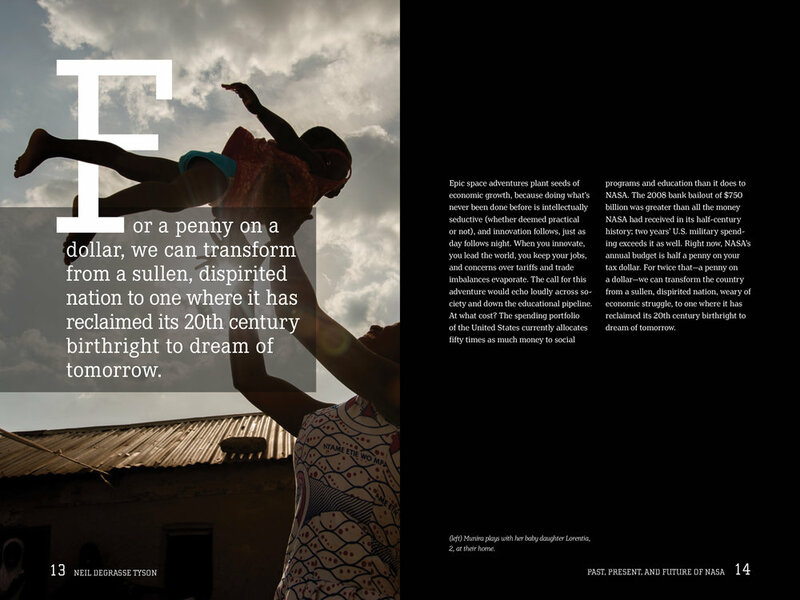 His speech relies on optimism and hope for the future, and I highlighted these emotions through the choice of images used throughout the book. This book used black-and-white images and black text against white pages. 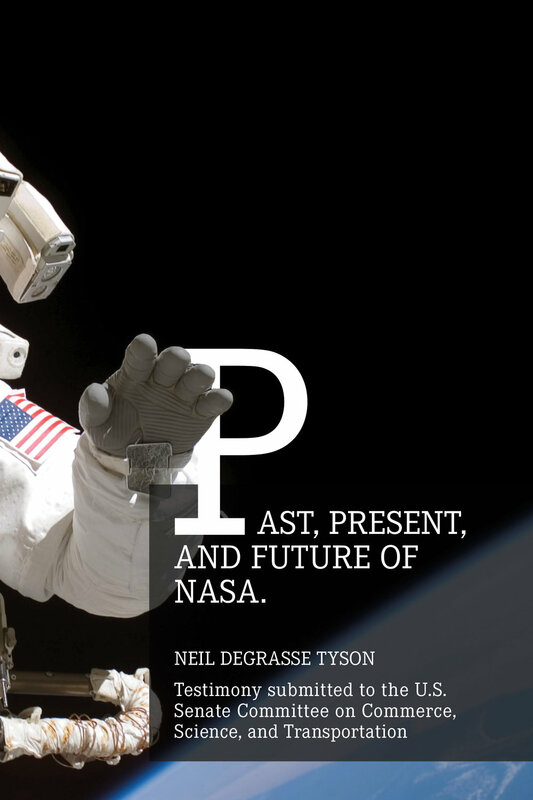 The second book is based on Neil deGrasse Tyson’s testimony to the US Senate, “Past, Present, and Future of NASA.” His speech describes the change in public perception towards space exploration since the JFK era, mainly characterized by cynicism and setbacks. This book breaks Kennedy’s rosy-colored view with feelings of stagnation and uncertainty, encapsulated by the choice of imagery. This book uses full-color images and white text against black pages.